1. What year did your Company/Business/Farm get started? 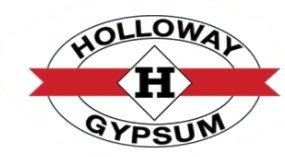 We have a gypsum mining operation in Lost Hills, Ca. We sell gypsum, lime, compost; soil amendments. Our depot is located in Madera and we have an office in Paso Robles. We are also working to expand our operation to Salinas. Our target market is farmers that have row crops or permanent crops. 4. Are you part of a family owned business? HM Holloway is a family owned business. Previously we sold our products through distributors. Now we deal directly with grower, this way we can offer more agronomic expertise & crop advisement. We are very concerned about our water issues, mostly the regulations that would limit growers in optimizing production. We feel that soil and water are our most valuable commodities. Itis important to maximize water capacity. Investing in soil will maximize water capacity. We joined in April 2018 and have been members for two months.